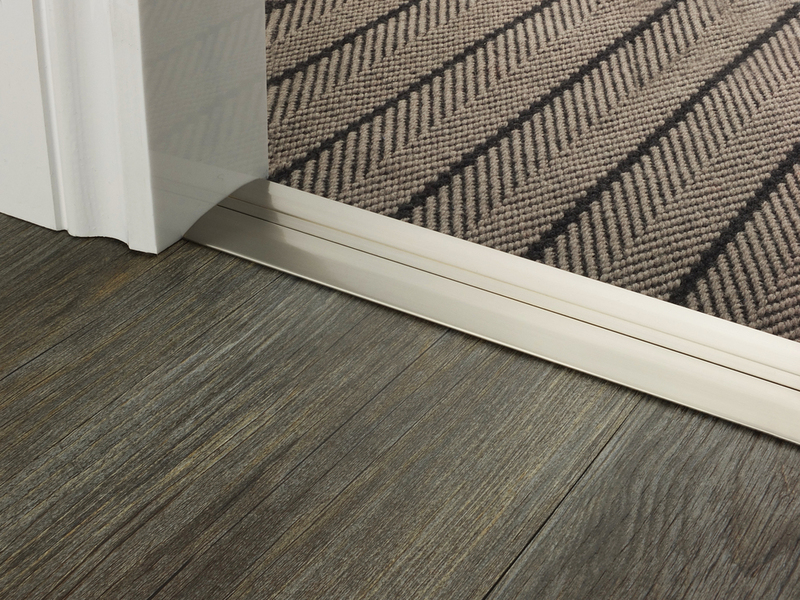 When fitting carpet to hard floor the Premier Posh 55 is suitable for the job. The Posh 55 door bar will fit carpets from normal pile to the thicker pile Jacaranda. Once fully fitted simply fit the inlay to hide all screw heads. 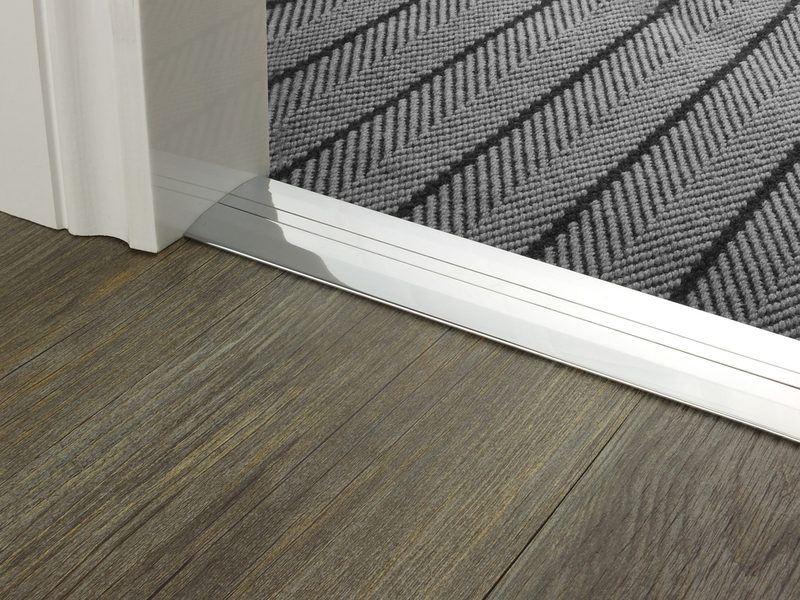 The Premier Posh 55 is a door bar suitable for carpet to vinyl, laminate, stone and because it can be used as a ramp, height differences of up to 8mm are not a problem, it can also be used as a transition door bar between hard flooring and carpet and is especially ideal for very deep pile carpet to hard floor, i.e. Jacaranda to LVT. 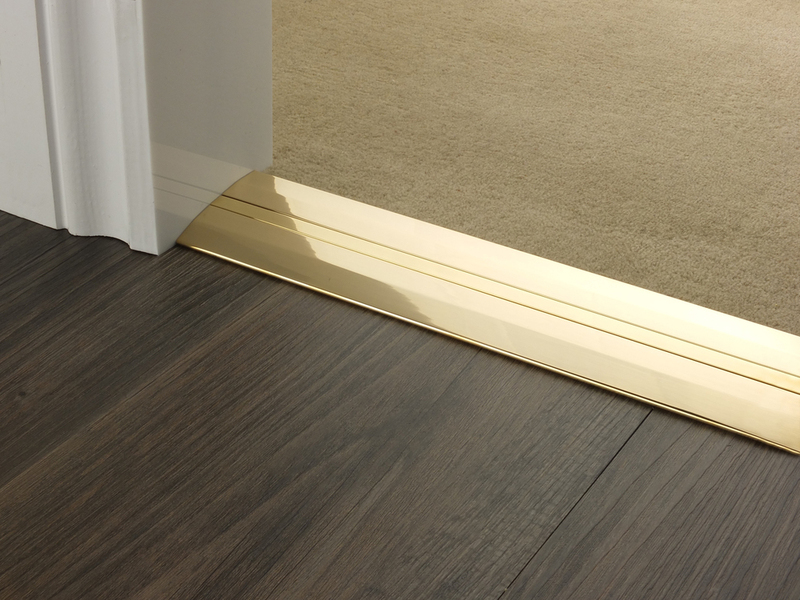 Manufactured from solid brass with a profile width of 55mm and including a self adhesive inlay strip to cover the fixing screws. 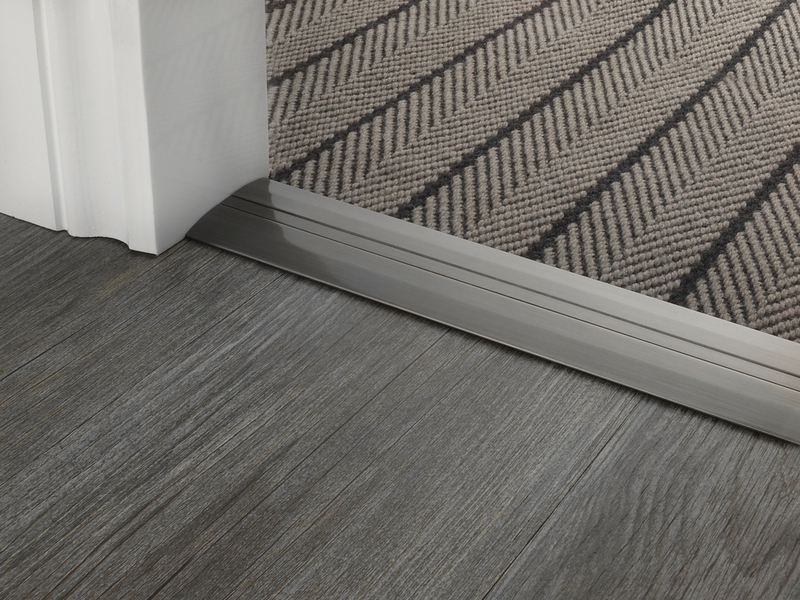 Posh 55 will give you an attractive, clean finish to your flooring.